IOGraph — is an application that turns mouse movements into a modern art. The idea is that you just run it and do your usual day stuff at the computer. Go back to IOGraph after a while and grab a nice picture of what you’ve done! The app works simply: Download it, run it, and hit the big record button to get started. Just let it run while you work, check in occasionally to see how your work of art is coming along, and when you like where you’re at, just click the Save image button. 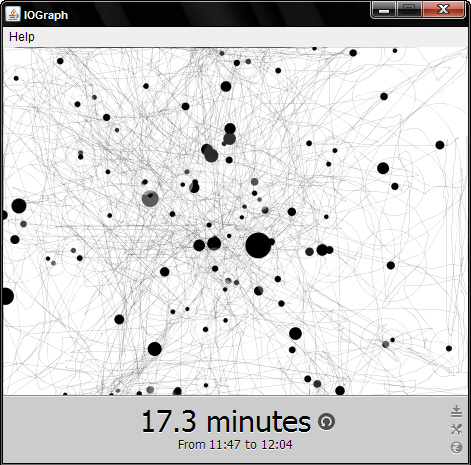 IOGraph is a free app and works with Windows, Mac, and Linux.